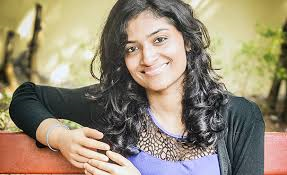 Malvika Iyer is a model and role model. She’s an example of a person who has maintained a hugely positive attitude despite great adversity. And adversity seems like a weak word when you know what happened to her. When Malvika was 13, she lost both her hands and sustained severe injuries, nerve damage and multiple fractures in her legs, in an accident involving a hand shell explosive. Thankfully the doctors were able to save her legs, but it took two years and several surgeries for her to walk again. In an interview, she described her situation: “Though completely disfigured, with no sensation in my left leg and a foot drop (difficulty in lifting the front part of the foot) in the right, I am lucky I still have them. My hands, though, were completely cut off. … Later a skin grafting operation was done and with that I am left with just two stumps. Fortunately, the stumps, especially the right one, were quite long, so I was able to lift them like how a squirrel does.” Keeping her courage up, Malvika enquired about getting a pair of bio-electric hands. With those, slowly she was able to learn to write again, and so decided to put all her energy into her schooling, in order to pass her high school exams. Malvika contributes time to many activities, giving talks and hosting events. She has become a model for accessible clothing, an initiative of Ability Foundation and the National Institute of Fashion Technology in Chennai, India. During the interview, Malvika said: “When I think about how my life has turned out to be, I think it is fine, whatever happened. I would not have wanted to live a mediocre life. I have always been scared of mediocrity and I am not sure how my life would have turned out if it were not for this accident. Now that’s a positive attitude!